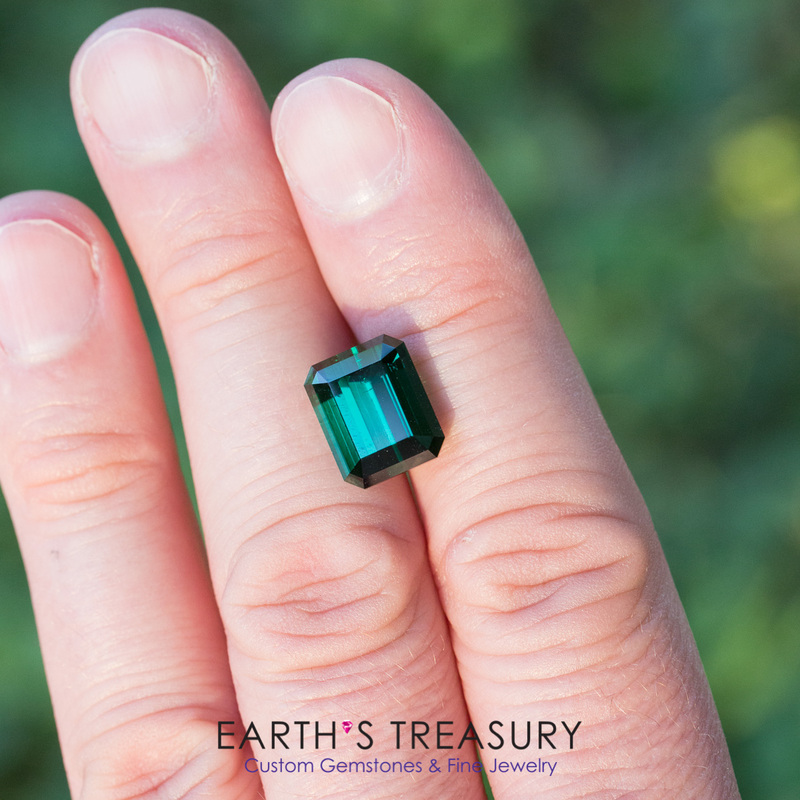 A beautiful deep blue-green tourmaline from Afghanistan, 12.09 carats. 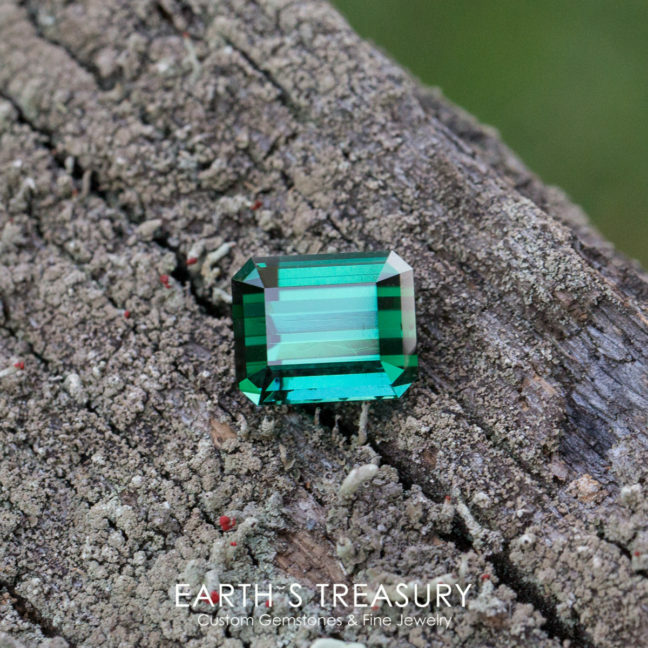 In recent decades Afghanistan has become famous for its tourmalines–and with good reason, as spectacular finds of gem tourmaline have been repeatedly made in the country. Some of the most desirable tourmalines are the blue-green shades, such as this gem. 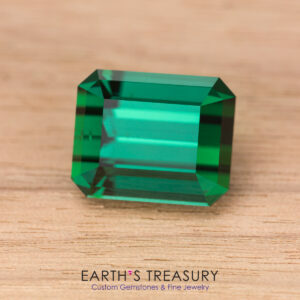 The color of this tourmaline is a deep rich green tinted with blue. The color can shift slightly with the lighting, appearing a brighter green under fluorescent lights and a deeper blue-green in daylight. The gem has nearly flawless clarity, with just one tiny trichyte inclusion near one end of the pavilion, just barely visible without a loupe. I decided that a simple yet elegant classic emerald cut would be the best way to highlight the color and beauty of this gemstone, while also allowing me to retain as much weight as possible. The results speak for themselves–its a spectacular gemstone. The gem weighs a whopping 12.09 carats and measures 12.6 x 10.2 x 10.1 mm–its a deep stone. It would make for a stunning ring or unique pendant–or simply a wonderful addition to a gemstone collection.